What to know before renting our my Mammoth Lakes property? Clients visiting our office often ask for a list of “all available properties.” The first question I ask is to determine whether they will be renting out the property. 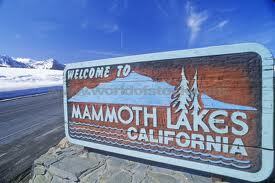 Only some areas within the Town of Mammoth Lakes are zoned transient rentals (check the town’s website). Many people are not aware most single family homes cannot be rented out on a nightly basis. This narrows the search considerably. After discussing the pros/cons of various areas, the next step is for the potential buyer to determine goals for the property. If income/cash flow based, ask your agent for any receiveables provided by the seller. Keep in mind most of these reports show “gross” income and there will be a percentage you will pay to the property management company plus any utilities or fees not included in the Home Owners Associate fees. Property management fees vary greatly as do the services provided. Some fees can be as high as 60% of gross income but often these offer greater name recognition and advertising presence which could increase the number of rentals booked for your property. Ultimately your short and long term goals are key in selecting the property. It is easy to get swept up in the emotions – my advice is to slow down and secure a real estate agent in your pursuit to make an educated decision.